For those who can't make it to f8 in person, we're streaming the entire day including keynotes, sessions and interviews with partners, developers and Facebook product teams. We’ll have a full day of engaging content live from the Concourse on Thursday. Tune in to the Livestream on the f8 Page or at f8.facebook.com. This will be your main hub for connecting to the event and interacting with the Facebook team and other developers from around the world. 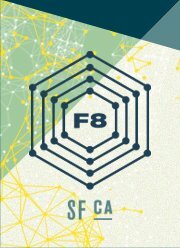 Be sure to like the f8 Page and follow regularly, including Thursday during the event. Join the f8 conversation by status tagging the f8 Page in posts on Facebook, commenting in f8 Live, and using the #f8 hashtag on Twitter. We'll be checking all of these channels throughout the day for your input. We are counting down the hours and look forward to seeing you on Thursday!